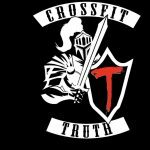 We offer a FREE week of Crossfit at our gym so you can decide if this is right for you! Please fill out the information in the link below and we will contact you to get you started! Bring comfortable workout clothes, a towel, and a bottle of water/Gatorade, and you’ll be set to go! We can’t wait to see you then!